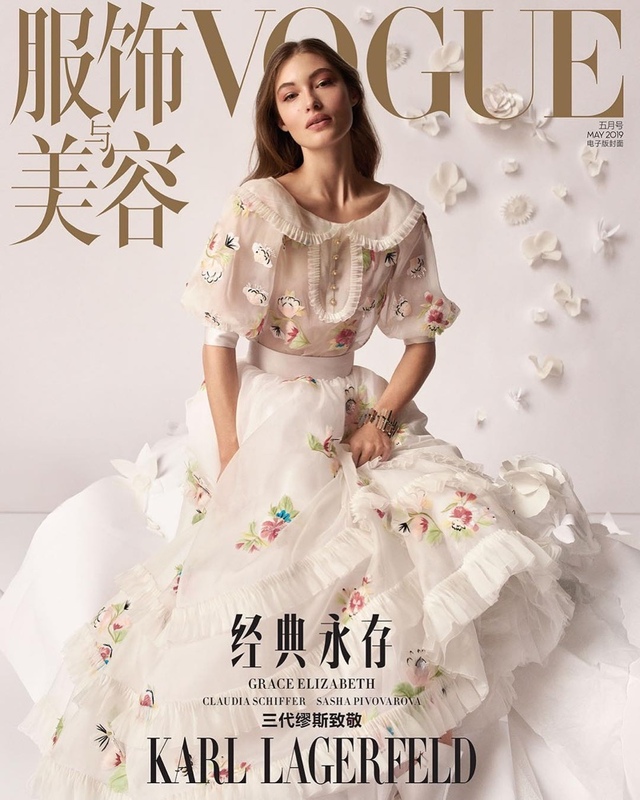 Fashion magazine Vogue China pays tribute to the late legend Karl Lagerfeld and features three of his muses on its May 2019 covers. 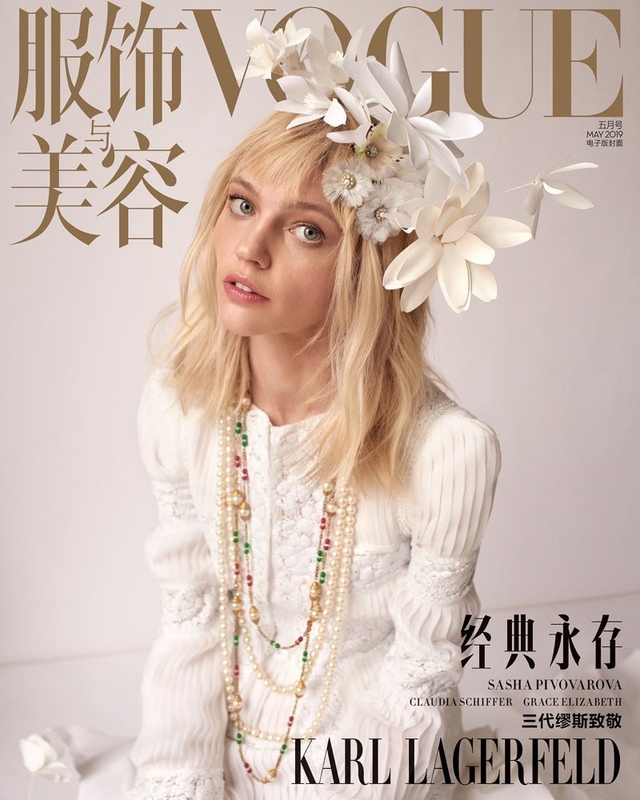 Showing off three generations of Chanel muses, photographed by Camilla Akrans, Vogue China brings together top models Claudia Schiffer, Sasha Pivovarova and Grace Elizabeth. Posing together for one cover and having their solo covers as well, the models are styled by Daniela Paudice and go glamorous in designs from the luxury French brand's Haute Couture collections. The maestro Karl Lagerfeld passed away at 85 after a battle with pancreatic cancer, and left the fashion world and fans in deep mourning and shock. Dressed in a colour palette of monochrome with heavily layered Chanel Fine Jewelry, the model ooze off Chanel's signature sophistication and charm, and bring to life Karl Lagerfeld's style philosophy to life.